I like dancing! When I heard of the popular dance crew Jabbawockeez will perform here in my country, I immediately checked out the available schedules. I surely didn't want to miss their live dance performance! 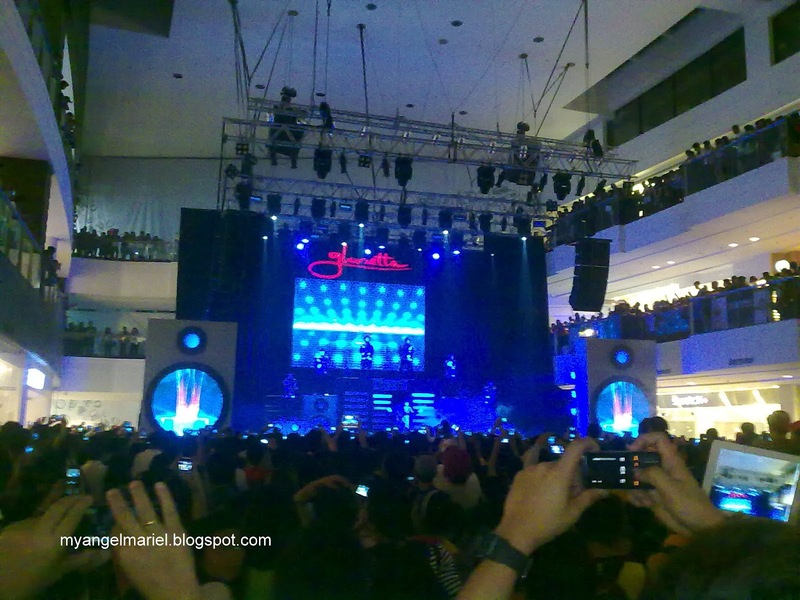 Among the venues, Glorietta was the most convenient one for me. So, I went there an hour ahead of their show. But woah! A lot of people were already waiting and I wasn't able to find a good spot. The show started at 6:30PM, and the lights and sounds were in full blast! At first, I thought it would only be a short production number. It turned out that it was a concert which would last for an hour and a half! I only had a few pictures of the show. It was very hard to take photos and watch at the same time. The performances were very engrossing that it could grab your full attention. Jabbawockeez, with special guest Super Cr3w, move in unison and in perfect timing! Every joint of their bodies go with the music. They were totally in synch with each other. Their concept dance moves were inspiring! Now, I remember the popular saying, "Dance to inspire, not to impress." The true meaning of that quote, they showed it to me and to the audience! The concert had a story flow interpreted through different genre of dance. The music they played ranged from hip hop, RnB, pop, ballad, and even girly songs like Single Ladies! Imagine! Manly men dancing to Beyonce's song! When they danced to P.Y.T. by Michael Jackson, they successfully had my 100% attention! I was surprised that they included Gangnam Style, too! Overall the show was entertaining! The stage, the lights, and the sounds were perfect! The stage was creatively set like a huge stereo. The screens projected scenes that complemented each performance. The lights were grand, too! Different play of colors move with the sounds and the dance. Lastly, the music were great. The sounds were noise-free, crisp clear, and had heavy bass! Now I like that, bass always make me want to groove along! At the end of the show, they took off their masks and showed their faces to the audience. Wow! It was nice to see the faces of these guys who dance so well! I hope that I will be able to watch more of their performances in the future! With the success of this event, I look forward to more concerts courtesy of Ayala Malls! I was there too. I was so stoked seeing the Jabbawockeez perform for the first time. It was like so mind-blowing. Grabe sa galing! I would also like to share some photos i took from the event.